ROME — Italian police say they have detained five Egyptians accused of smuggling a boatload of 264 migrants from Libya to Sicily. Overall, migrant crossings to Italy began decreasing in 2017, after Italy's previous government negotiated deals with Libyan leaders and militias. The numbers have dropped further after the current government cracked down on humanitarian groups operating rescue missions in the Mediterranean. 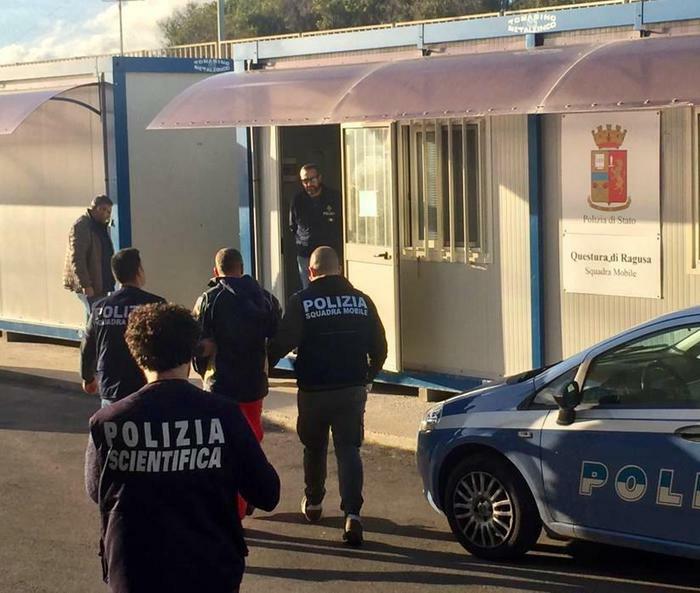 ANSA) - POZZALLO (RAGUSA), 26 NOV - Five Egyptians accused of being the alleged smugglers of the boat, with 264 migrants on board, almost all Eritreans, arrived two days ago in the port of Pozzallo were stopped by the State police. The alleged smugglers are accused of facilitating illegal immigration. According to the witnesses listened to by the Dubrovnik Squad, they were the members of the entire crew that was at the helm of the boat. Each migrant would have paid € 1,500 to reach Italy, for a 'cash-out' for the organizers of the traffic of men of almost $ 400,000. On the five, before being taken to prison, surveys were carried out by the police of the Police Headquarters of Ragusa.